New FDI figures show the UK had a record number of inward investment projects and created second highest number of jobs ever in 2015 to 2016. The figures are from the Government's Department for International Trade and across the country, 2,213 inward investment projects were secured in the tax year 2015 to 2016, an 11% increase on the previous year. This lead to around 116,000 jobs being created or safeguarded - the second highest number on record. Almost 1,600 new jobs a week were created by foreign direct investment (FDI) in 2015 to 2016. UK Trade & Investment (UKTI), now part of the Department for International Trade (DIT), helped to secure four out of five of the projects that created these jobs. Since 2010, nearly 390,000 new jobs have been created through foreign direct investment in the UK. For Yorkshire and the Humber, 104 FDI projects were secured, which meant a total of 2,992 new jobs created. The Northern Powerhouse saw a boost to FDI projects by nearly a quarter (24%) in 2015 to 2016.
International Trade Secretary, Liam Fox, said: "These impressive results show the UK continues to be the place to do business. "We've broadened our reach with emerging markets across the world to cement our position as the number one destination in Europe for investment. This continued vote of confidence in the UK will help attract foreign investment to create jobs, security and opportunities for people across the UK." The USA remained the UK's largest source of inward investment providing 570 projects. This was followed by China (including Hong Kong) with 156 and India with 140. Demonstrating the UK's attractiveness to an ever-widening pool of global investors, investments originated from a record 79 countries and the UK became the top European destination for projects from emerging markets. Projects from Latin America rose by 240% and those from Central and Eastern Europe surged by 131%. Advanced manufacturing, a sector key to the economic success of Rotherham and the Sheffield city region saw an 11% increase in projects from 468 last year to 518, and a 13% increase in jobs created from 33,288 to 37,472. 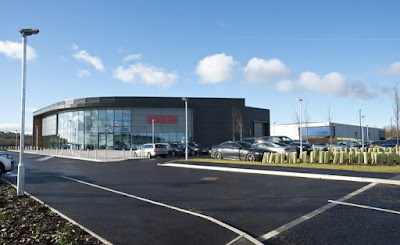 FDI projects covered by Rothbiz in 2015 include Nikken Kosakusho Europe opening its £4m development on the Advanced Manufacturing Park (AMP) in Rotherham, where it is planning a £3m extension. Irish owned manufacturing firm, MGB Plastics, made a seven figure investment in new machinery at its Rotherham facility. Also during the period, Acorn Industrial Services Group, one of the largest power transmission distributors in the country, was acquired by the Swedish industrial group, Axel Johnson International.